Rare decorative map of the route of the Central Pacific from the midwest to San Francisco, illustrated with 24 engraved images of the west, primarily of California and Nevada. 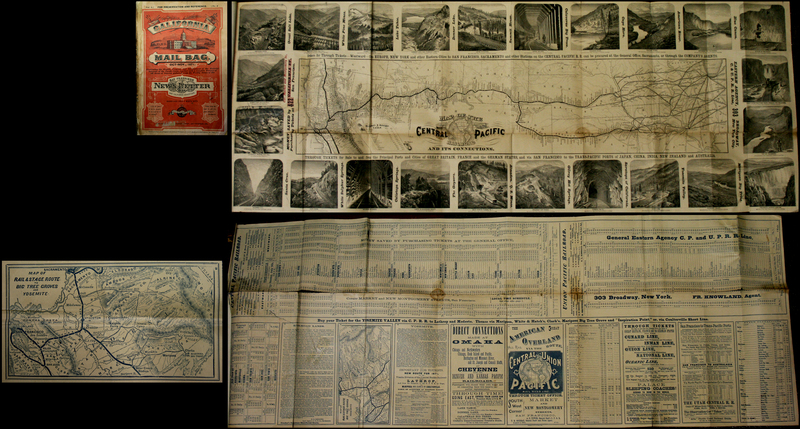 Includes a smaller map entitled "Map of the Rail & State Route to Big Tree Groves and Yosemite" on the verso. The California Mail Bag was published by Frank Marriott from 1871 to 1878. Courtesy of Barry Ruderman.